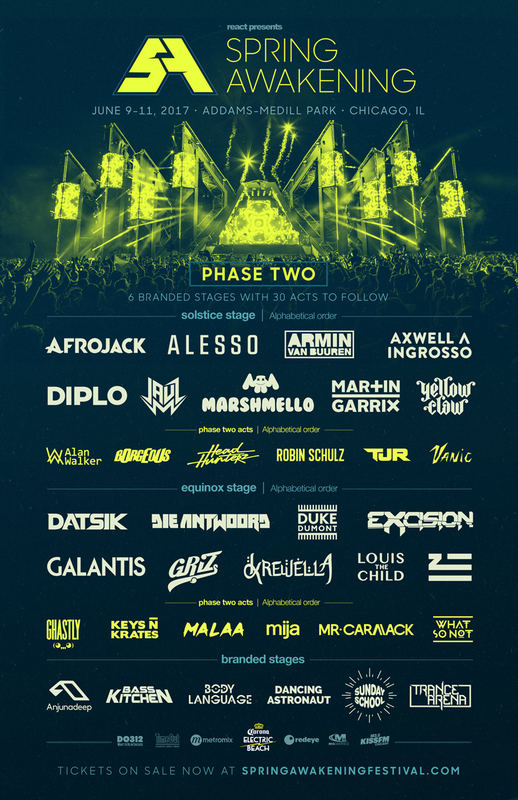 Spring Awakening Music Festival, held at Chicago’s Adams/Medill Park on Friday 9th June through Sunday 11th June, has announced its phase two line-up that includes Malaa, Headhunterz, What So Not, Mija and more. Joining the previously mentioned names in the second wave of the roster are Borgeous, Robin Schulz, Keys N Krates, Ghastly, Vanic, TJR and Alan Walker. Stay tuned for upcoming line-up announcements for each of SAMF’s six branded stages in the coming weeks, following with the full artist names and daily schedule. View the full bill for SAMF below. Snag your tickets here.